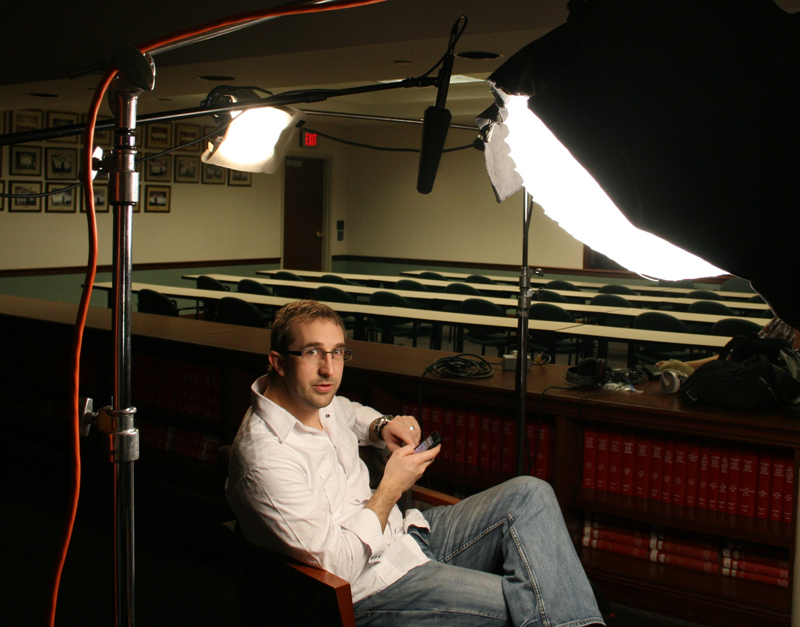 Serendipitous Films, in Dallas and Fort Worth, Texas, produces corporate video, commercials, music videos and feature films. This is the second part of the series on t corporate video interview. Now let’s talk about sound in the interview. At the non-professional level, sound is simply taken from the mic built into the camera. At almost no level is this sound good and acceptable. So you get into a quiet room. You still contend with air conditioning noise, fluorescent lighting hum, and whatever other ambient sound. I don’t know of a single instance where this sounded good. Next up is to put a decent shotgun on the camera. Still not so great. If it’s all you can do, get close to the interviewee. I was recently sent on a shoot where I was told by the client to simply have a shotgun mic– it was an incredibly tight deadline situation and it was a news-style shoot. What I didn’t realize was the client wanted to do a sit down interview. They wanted it to match other footage they had taken where the audio came from a shotgun mounted to the camera. So I found the quietest room and put the camera danger-close to the interview subject. If I had brought a c-stand and XLR cable, the next step would have been to boom over his head with the same shotgun mic. I would have much better sound. For interviews, our standard audio setup is to boom a mic above the subject and hide a wireless (or hardwire) lav mic on the subject. We record into separate channels, so we can take the better audio source in post. Beware! If you choose to take both, you could run into some cancelling issues (it will sound like the person is talking inside a well). And you won’t know until you burn that final DVD for the huge event, played over the sound system– the sound finally being mixed together. This might be the first time you realize it’s cancelling. For the hidden lav mic, the most common problem is clothes rustle. This is another instance where you will get what you pay for. A good lav mic and screen versus a cheap lav mic– one can handle clothes rustle better. This doesn’t mean that an expensive lav mic is a magic fix for rustle– you will get some with certain fabrics. But you can minimize by proper placement and taping the actual mic correctly. 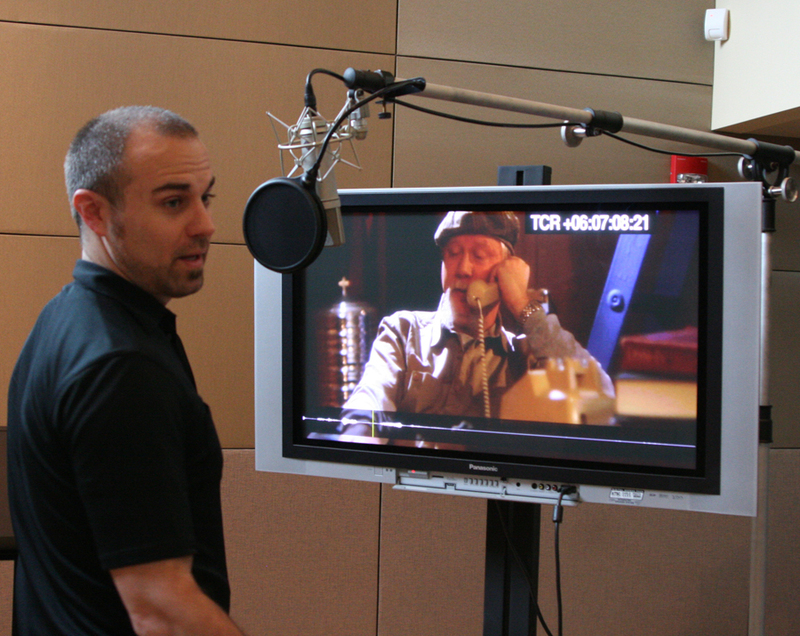 For larger jobs, we bring a dedicated location sound mixer who knows his stuff. Sound often gets minimized– the first thing cut from a budget. But without good location sound, you can be in a world of hurt in the edit.